On my way back from Italy I had an overnight stop in Dublin. I had never been to Ireland before and had limited time and daylight to really do much of anything. One thing I knew I had to do was find books to read on the plane ride home. I had deemed the two books I took with me to Italy too boring to continue so I left them behind. This meant I had absolutely nothing for the 8-hour ride home. Thankfully the front desk clerk at the fantastic guesthouse I stayed at (Number 31) knew exactly where to send me and it happened to be close by. 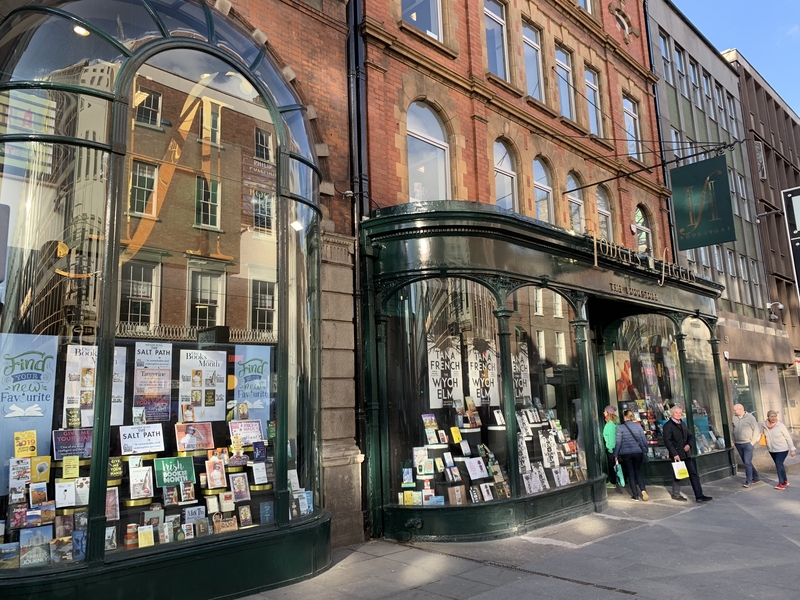 Thankfully I arrived in Dublin early enough to make it into Hodges Figgis with plenty of time before they closed. 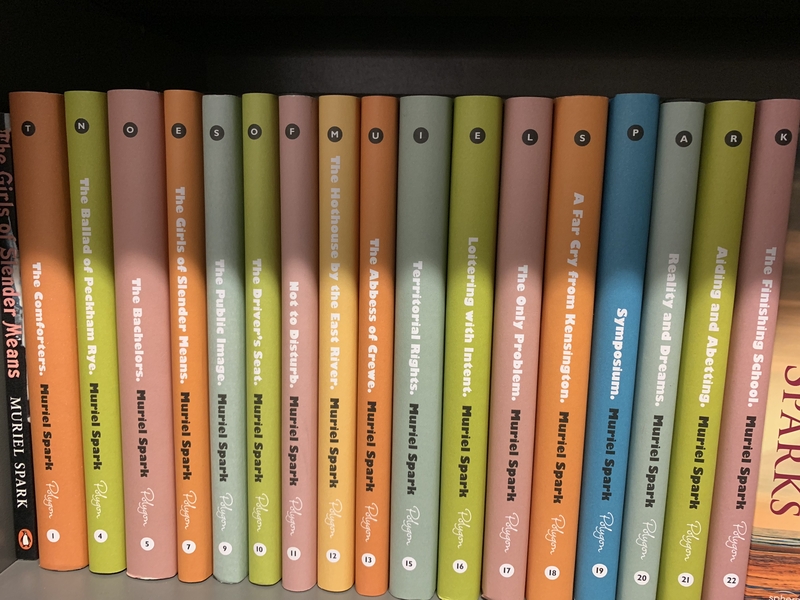 Such things don’t tempt me much anymore, but I can think how this numbered set of Muriel Spark novels would set more than a few of you into a completist manic episode. And without even trying I bumped into this lovely shop as well. Between the two stores I bought four books. I have to say, this was my most successful book buying stack of all time. 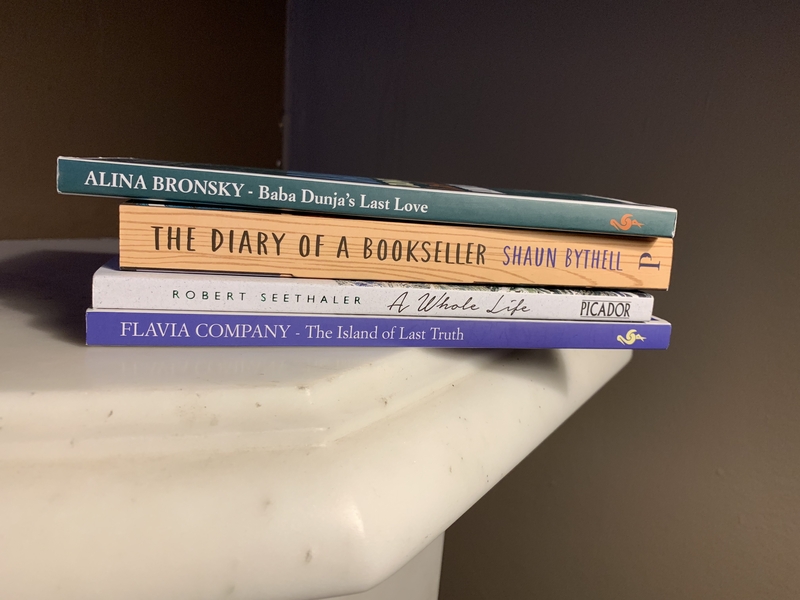 Usually I might read one off the bat and then the others get get mixed into the general population of my TBR and it takes me much longer to get around to them. But with these, not even a month later and I have already finished all four AND, they were all amazing, 5-star reads for me. What I didn’t remember/realize when I saw this book was that I had seen it in a different livery a few years ago. I started reading it on the plane and couldn’t put it down. Previous Article But what did you read in Milan? I loved A Whole Life. Absolutely beautiful writing and the Diary was great fun. I read it very quickly. Glad you found something to enjoy. I’ll have to try Flavia Company’s book now – given that the other three were also 5* reads for me too. Isn’t that a great name? You might then, appreciate Denis Johnnson’s Train Dreams. I’m not sure why the other cover never got me to actually purchase it. I think I thought it was fiction and it was one of those books trying to pander to book lovers. This time when I picked it up and saw it was a memoir I didn’t hesitate. Now that is impressive to have purchased and read all four already. Diary of a Bookseller sounds wonderful. I haven been interested in the Seethaler title for a while too. And the funny thing is I didn’t know anything about any of them. For it all to work out so nicely was truly crazy. 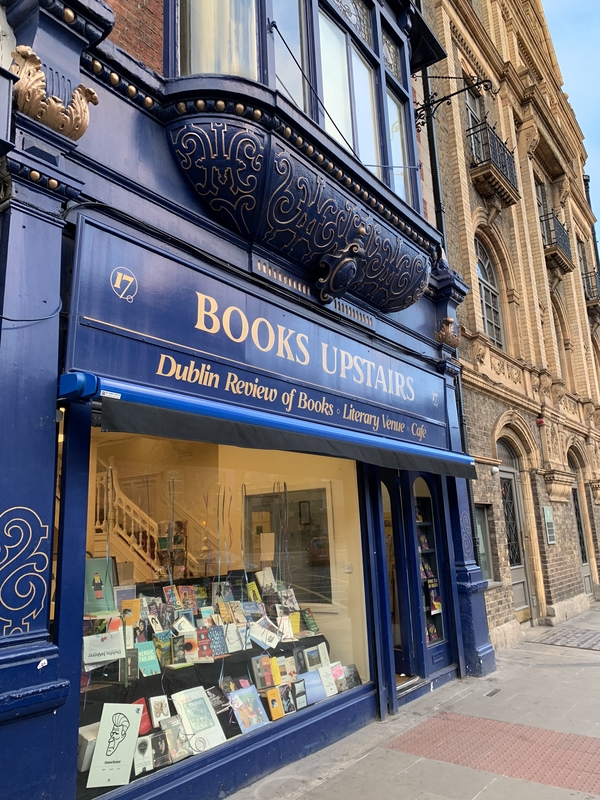 Books Upstairs is one of my favourite spots! I didn’t have much time there. I was hungry and after a week in Italy I was fixated on getting a burrito on a place I had passed earlier. Cuz that’s what you do in Ireland is eat burritos. Was it a good burrito? As a former Texas resident, I am often suspicious of Tex-Mex food outside the U.S. We have a number of Tex-Mex restaurants here in Germany and they are mediocre at best. Diary of a Bookseller is so fun. And I SO want all those Sparks, not least because they’re beautiful, but I have all her books in drab editions already. How did you stop being a completist? I stopped when we had to move out of our house for a year and I realized I had a fair number of sets that I knew I was never going to read and only owned for the sake of owning them. 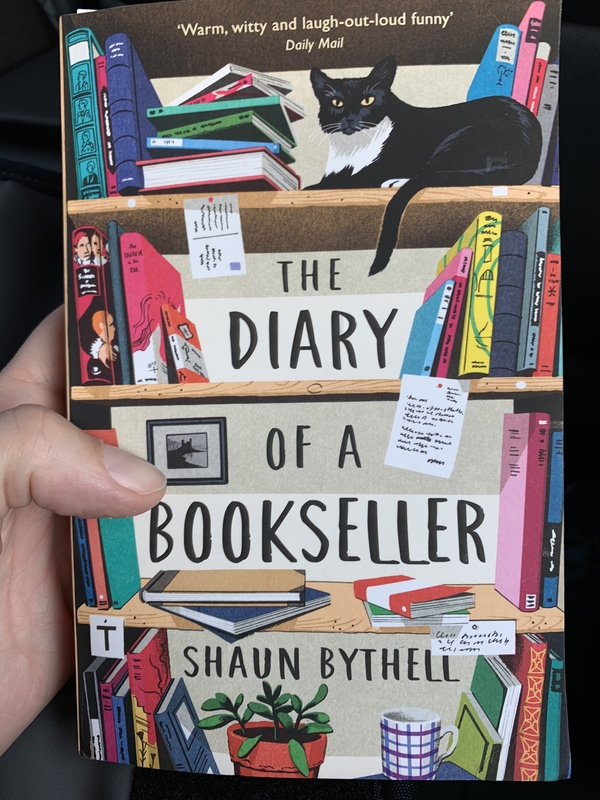 I’ve heard great things about The Diary of a Bookseller; glad to hear you enjoyed it too. That cover is perfection! I also loved The Diary of a Bookseller! And I feel better about having paid full price for it at a brick-and-mortar bookstore (though it is a German chain, Hugendubel). But after reading it while visiting Munich I did find a really good secondhand English bookstore in Munich and bought a stack of books, so I felt like I was doing my bit. And I’m trying to order more secondhand books directly from bookstores and not from Amazon.